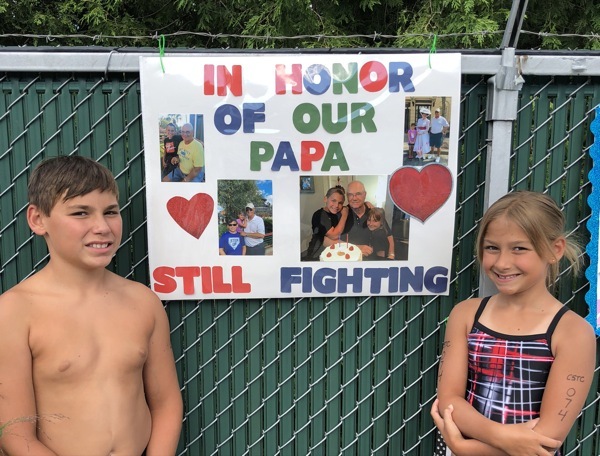 Neighbors | Submitted.Canfield Swim Club swim team members Anthony and Ava Mazzella honored their grandfather during the team’s annual Swim-A-Thon, which raised money for the Showers Family Center For Childhood Cancer at Akron Children’s Hospital in Boardman, on July 19. Neighbors | Submitted.The Canfield Swim Club swim team had its seventh annual Swim-A-Thon on July 19. 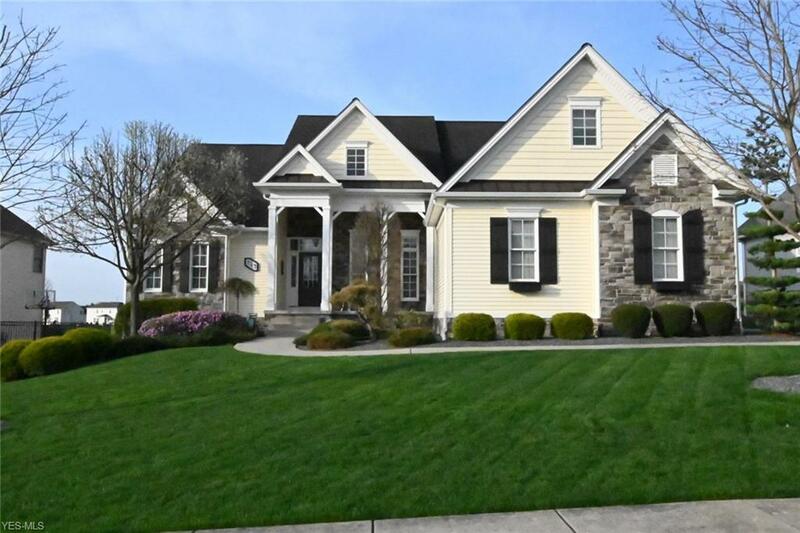 All donations raised by the team members were donated locally to the Showers Family Center For Childhood Cancer at Akron Children’s Hospital in Boardman. The Canfield Swim Club swim team had its seventh annual Swim-A-Thon on July 19. The swimmers raised money to be donated locally to the Showers Family Center For Childhood Cancer at Akron Children’s Hospital in Boardman. Under the direction of Head Coach Brian Stahl and assistant coaches Jamie Stahl and Kyle Kimerer, members of the swim team participated in this event to honor and remember those who have been affected by cancer. Swimmers collected donations from friends and family and several swim team members made posters and signs dedicated to family members or friends who passed away or survived cancer. The Swim-A-Thon swimmers raised more than $2,500 from the event, which promotes team building and teaches the swimmers that they can make a difference. The swimmers celebrated their accomplishment of swimming laps for donations with Midnight Madness, an evening of fun. Some activities the swimmers participated in were jump or dive, greased watermelon, a team scavenger hunt, kickball wars and a ice cream sundae bar.